I created Ashwinstudio initially as name for my art studio and in memory of my great grandfather, Kenneth Baldwin-Smith, who named his studio Kenwinstudio. However, the name Ashwinstudio has taken on life of its own and is now also a label or trade name to create and promote the sculptural furniture under. 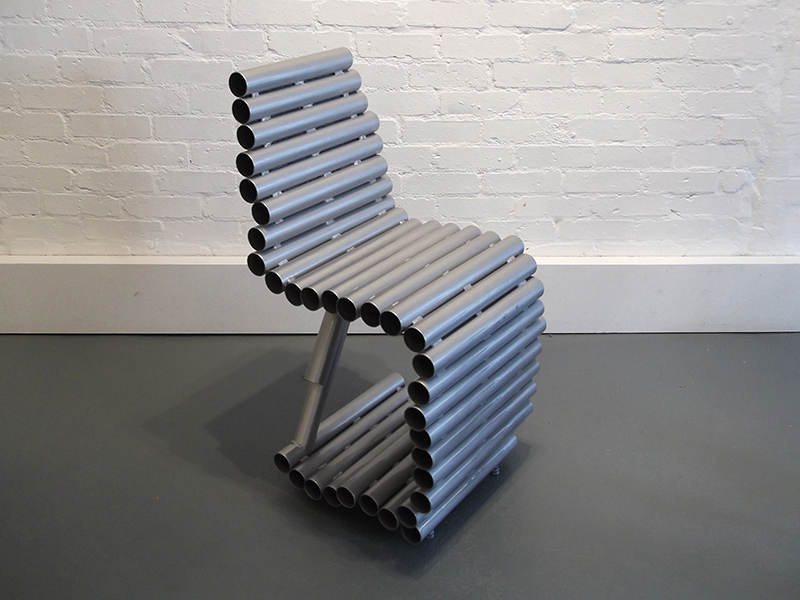 Ashwinstudio offers a range of reclaimed furniture from tables and stools created from engine parts to organic chairs made from metal tubing or coffee tables made from steel girders. 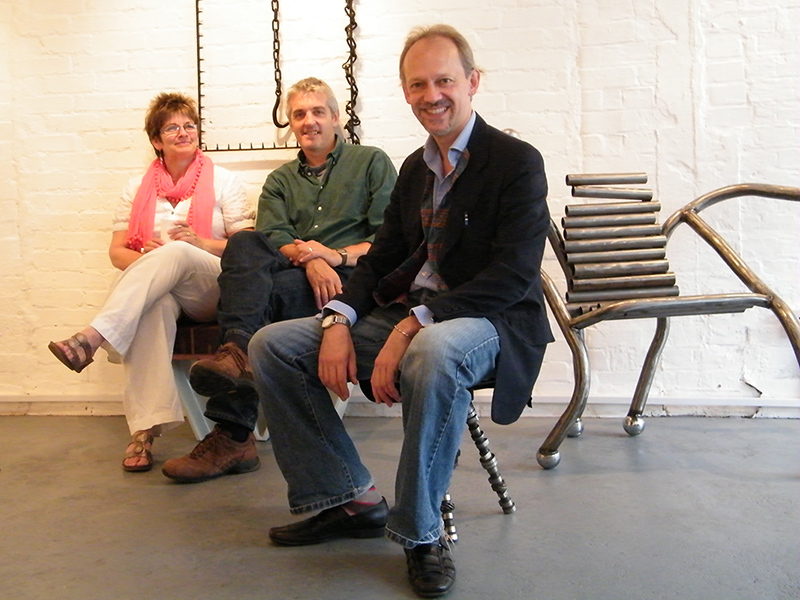 As with the majority of my sculpture, our furniture is created largely from reclaimed and recycled materials and objects. More often than not this means asking for or purchasing scrap metal and objects from farms, engineering workshops, garages and charity shops. This can take the form of girders, metal tubing, metal bar and angle, engine parts and all sorts of wonderfully interesting objects. We also use a range of table tops (depending on how the artwork develops) from reclaimed toughened glass or new if requested, to reclaimed wood or metal and paint finish. 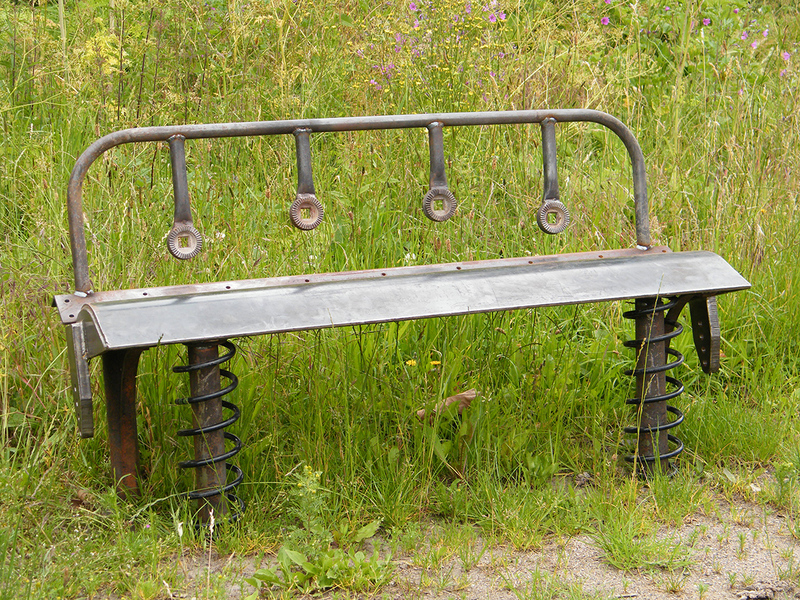 The beauty of working with reclaimed materials is every piece is different and exciting and takes on a life of its own. And of course it is environmentally friendly. 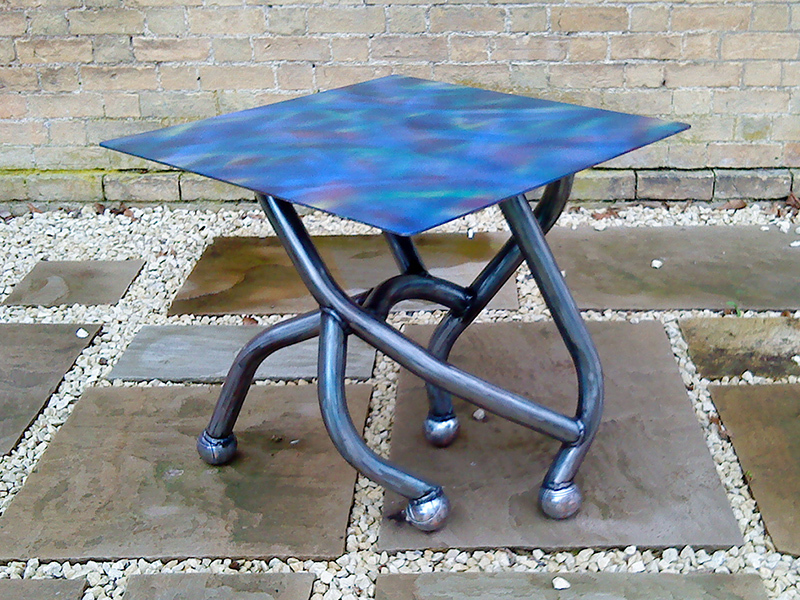 However, I am not jumping on the green bandwagon as I have been working with reclaimed materials for over 15 years. Every individual work is carefully thought through and created as a work of art and not just a piece of furniture. And in this I have always been a huge fan of functional art or tribal art (controversially named as Primitive Art and in my view far from primitive!) produced by indigenous cultures of Africa, Americas and Oceania.